WASHINGTON — It’s the beginning of a new era in Army acquisition in which soldiers might not have to wait 10 years or longer to see a new weapon or capability in the field, but instead could get modern, new systems in their hands within just a few short years. That’s at least what service leaders tasked to come up with new road maps for the Army’s top modernization priorities are thinking is possible. The newly vigorous pace is fueled by the frustration created by years of painful acquisition blunders, sluggish bureaucratic processes and wasted dollars, all on top of the fact that near-peer adversaries like Russia haven’t waited to develop weapons systems that would create serious dilemmas for the U.S. Army and its Middle East-tuned equipment if it had to face off in a conflict. The Army’s new Futures Command — designed to keep the service laser-focused on six major modernization priorities — hasn’t been officially established yet, but the leadership in charge of those priorities see for many cases creative ways to get capability into the hands of soldiers in the field in just a couple of years. The Army established what it is calling cross-functional teams — or CFT — to address the following priorities: Long-Range Precision Fires, Next-Generation Combat Vehicle, Future Vertical Lift, the network, air and missile defense, and soldier lethality. There are eight CFTs — six to address each priority, one that is addressing the Army’s Synthetic Training Environment, and one for positioning, navigation and timing. Gone are the days of waiting for a perfect solution to get through years of testing before anything is actually put into an operational environment. Instead, through the CFTs, all the players in the acquisition process from the requirements community to the sustainment community are at the table, at the same time, to determine what is feasible and when. And actual system operators, even at the earliest prototyping and design stages, will be able to experiment with capabilities in realistic environments, allowing for feedback along the way. 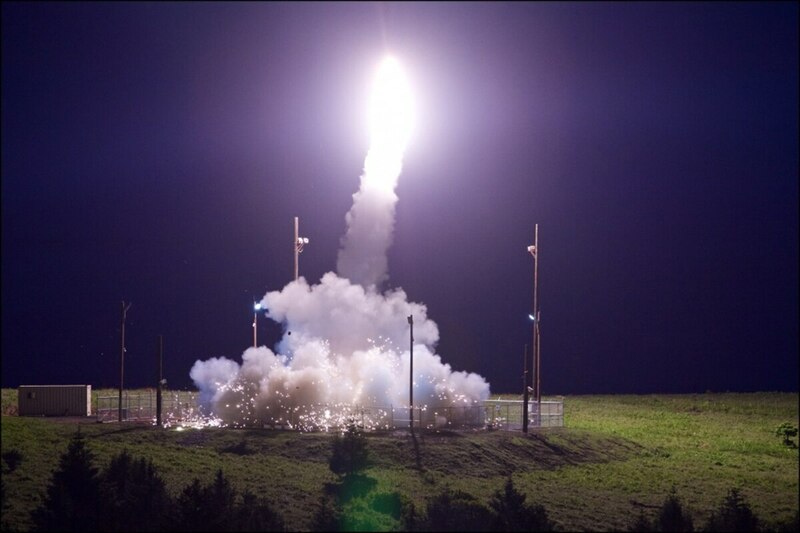 The U.S. Army will demonstrate LRPF technology from a precision-strike missile to hypersonics and ramjet capabilities within the next couple of years, the service’s LRPF CFT lead, Brig. Gen. Stephen Maranian, told Defense News in a March 19 interview. 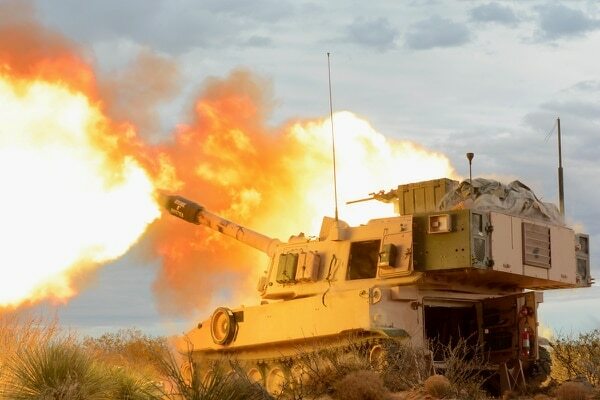 The service is looking at how it will evolve its current M109A7 self-propelled howitzer — or Paladin Integrated Management — into extended-range cannon artillery by getting a better projectile and a longer barrel. According to Maranian, the projectile — the XM1113 — could be fielded to soldiers in approximately two-and-a-half years. More capability will be spiraled in later, he added. The Army will also demonstrate in fiscal 2019 two possible Army Tactical Missile System replacements from Lockheed Martin and Raytheon, which will deliver a longer range. The program formerly known as LRPF is now being called the Precision Strike Missile, or PrSM. Maranian said the Army is looking for ways to get PrSM to the initial operational capability stage as early as late 2022. And technology such as hypersonics and the ramjet could be demonstrated as early as FY19, Maranian said. The first stab at building prototypes for what the U.S. Army intends to be an innovative, leap-ahead NGCV and its robotic wingman will be ready for soldier evaluations in FY20, according to Brig. Gen. David Lesperance, the NGCV CFT lead. Subsequently, the Army will rapidly produce follow-on prototypes in FY22 and again in FY24, each taking lessons learned from the previous prototypes and refining capabilities. Soldiers will have the chance to heavily evaluate the prototypes at every stage, Lesperance said. As part of the effort, the Army has kicked off a major prototyping effort to develop the NGCV by awarding an SAIC-led industry team a contract to build two demonstrators by FY22. Fiscal 2019 documents show the timeline has been accelerated and that prototypes could be finished as early as 2020. The FVL program has already entered a prototype demonstration phase that will inform the service’s requirements for a program of record. One aircraft — Bell Helicopter’s V-280 Valor tilt rotor — is already flying while the Sikorsky-Boeing developed aircraft — the SB-1 Defiant coaxial helicopter — is expected some time after the summer and before the end of calendar year 2018. But the service isn’t waiting for the Joint Multi-Role Technology Demonstration to wrap up in a few years to submit initial requirements documents that pave the way for FVL, its mission systems and future unmanned aircraft systems, according to Brig. Gen. Wally Rugen, the service’s FVL CFT lead. Those documents are with the Army vice chief and the undersecretary, and are awaiting approval, Rugen said. The CFT is also analyzing when and what unmanned aircraft systems it will bring into the force. The service will either rapidly procure certain systems or procure via technology demonstrations, Rugen said. The Army will select companies to build Next-Generation Tactical UAS Technology Demonstrators, or NGTUAS-T, in 2019, with plans to fly the craft in the 18 to 24 months following. The effort will inform the Army’s Future Tactical UAS program. Soldiers are currently trying new capabilities for the Army’s future network after the service made a dramatic decision at the end of last year to essentially curb its tactical network — the Warfighter Information Network-Tactical — and restructure its entire network strategy. “We are really working hard to pilot and experiment and demonstrate some capabilities that are going to help our war fighters’ ability as quickly as possible,” Maj. Gen. Peter Gallagher told Defense News in a March 19 interview. Through experimentation in the field, the CFT is “trying to define a future capability set and recommended basis of issue for various types of formations,” as well as how upgrades can be incorporated over time, he said. A battalion out of the 82nd Airborne, for instance, is experimenting and demonstrating with capabilities already used by the special operations community. Army senior leaders are interested in those capabilities and would like to see how they might scale to larger formations like an infantry, Stryker or armored brigade combat team. Those capabilities include next-generation hand-held radios, new radio gateways and advanced networking waveforms, according to Gallagher. The service also sent network capabilities to the first security force assistance brigade deployed to Afghanistan with the intent to learn and gather data points from the brigade’s feedback that will inform the future network, he said. The Army is planning to choose an interim solution to meet a much-needed Short Range Air Defense capability in Europe by the end of the year, Brig. Gen. Randy McIntire, the AMD CFT lead, told Defense News in a March 14 interview. The service selected the Stryker to be the base platform, but plans to pick systems that will be integrated onto the vehicle to form the solution. The Army’s Patriot air and missile defense system and the Terminal High Altitude Area Defense system currently cannot communicate, but that will change within the next two years, McIntire said. One of the earliest efforts in the realm of soldier lethality is to get new night vision capability out to the force. A new combination of advanced night vision goggles is merging day/night vision, thermal viewing, weapon sight and augmented reality into one view that allows a soldier to see the battlefield while maneuvering. Think Google Glass, but with a gun. And the head of the Army’s new CFT focused on soldier lethality, Brig. Gen. Christopher Donahue sees the device as a way to exponentially improve the dismounted war fighter’s battlefield awareness. BAE Systems recently received two orders for a total of $97 million to produce the Enhanced Night Vision Goggles and thermal weapons sights, according to a company announcement. Just a few years ago, building a virtual world happened at a crawl. The Army began building its One World Terrain, a simulator that is being designed to show accurate virtual depictions of almost everywhere on Earth, and designing just a small part of Ukraine took nine months and $1.7 million dollars. But now creating a virtual rendering of San Francisco, for instance, took roughly eight hours. The Army can build its One World Terrain at a very rapid pace to get after one of the biggest challenges in training — exercising in realistic terrain, Maj. Gen. Maria Gervais told Defense News. Improvements like fidelity and accuracy can be worked into the system over time. The Army is also focused on developing its soldier squad virtual trainer, in the FY19 to FY22 time frame, which provides immersive training to the squad that will allow for increased repetitions and increased competency before the unit even arrives at a larger training exercise, Gervais said. Previous training simulators featured technology from the ’80s and ’90s, and were stove-piped systems. The Army boosted the STE’s budget across the next five years, which will fund the development and demonstration of simulation prototypes.